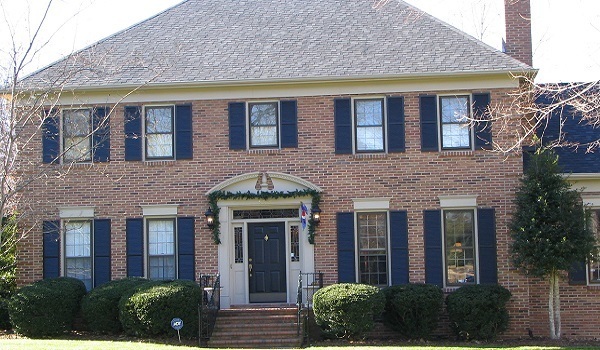 Our Siding Contractors Can Make Your Charlotte, NC Home More Beautiful! Are you looking for an affordable way to transform the exterior of your home? If you are, look no further than the siding contractors at Crown Builders. We have some of the leading professionals in the siding industry throughout all of Charlotte, North Carolina. At Crown Builders, we recommend making over your home with vinyl siding for a variety of different reasons. First, vinyl siding is an affordable material, and our siding contractors will install it on your home for a low price. There are many home renovation projects that you could spend your weekends hassling with or paying a fortune for. However, vinyl siding is an easy and affordable way to add a little curb appeal to your home. Have you ever driven down the street and gone right past your home because all the houses look similar? With vinyl siding, you won’t ever have this problem again. This material comes in a plethora of different styles and colors, so you can make your home stand out from the other ones on your block. Lastly, vinyl siding requires hardly any maintenance. If the thought of not spending hours primping the exterior of your home on the weekend sounds appealing, then let the siding contractors from Crown Builders install vinyl siding on your home. We offer our customers a large selection of styles, trim accessories, and siding from several different manufacturers, so homeowners are proud to drive up to their home at night after a long day of work and call it their own. For all your siding contractor needs please contact Crown Builders in the surrounding areas of Charlotte, Huntersville, Concord, Gastonia and Mooresville, NC.